The Catholic Diocese of Peoria's part in the effort to have the late Archbishop Fulton J. Sheen recognized as a saint will be officially closed with a Mass of Thanksgiving at 10:30 a.m. Sunday at St. Mary's Cathedral, 607 NE Madison St. The Bradley Chorale will join the Cathedral Choir for the Mass, which will be televised live on Eternal Word Television Network. 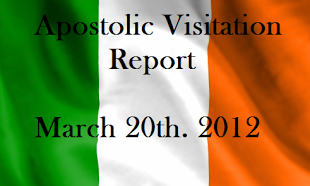 Documents in the investigation will be officially packed, sealed and notarized before being sent to the Vatican. The documents include copies of Sheen's writings as well as thousands of pages of testimony attesting to his holiness, according to the diocese. Sheen was born in 1895 in El Paso, Ill., and baptized in St. Mary's Church there. He graduated from Spalding Institute in Peoria and was ordained a priest in the cathedral in 1919. He served as assistant pastor at St. Patrick's Church on Peoria's south side. The central Illinois native is best known for his television programs in the 1950s and 1960s. 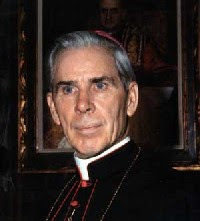 Mayor Jim Ardis of Peoria has declared Sunday to be Archbishop Sheen Day in the city.